We are excited to invite you to our 8th annual Economic Outlook Q & A. We are returning this year to the LeMay-America’s Car Museum (2702 East D Street Tacoma, WA). Our panel will share their views on the economy as well as address any questions you may have. Enjoy wine and appetizers prior to the Q & A, and stick around for an after-hours museum viewing. We have an exceptional panel of speakers this year so don’t miss this great learning opportunity! RSVP today because seating is limited. This event is being sponsored by Assetmark, City National Rochdale, and Clark Capital Management Group. Neither Brian Kampbell nor Voya Financial Advisors, Inc. give specific legal or tax advice. Please consult with your Professional tax or legal advisor for your personal information.  FLS Financial Group, LLC is not a subsidiary of nor controlled by Voya Financial Advisors. Fullaway Lamphear & Sauve PLLC is not affiliated with Voya Financial Advisors, Inc.
Assetmark, City National Rochdale, Clark Capital Management Group and Eaton Vance, are not affiliated with Voya Financial Advisors, Inc., FLS Financial Group, nor Fullaway Lamphear & Sauve. Any information provided by these individuals is provided entirely on behalf of the individual and is in no way related to Voya Financial Advisors or its registered representatives.